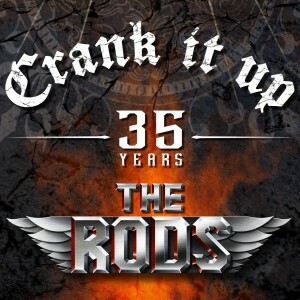 Eighties hard rock trio, The Rods, have re-recorded their song “Crank It Up” to celebrate the upcoming 35th year anniversary of their self-titled debut album. 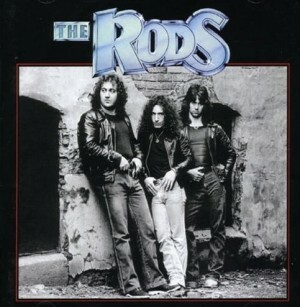 “Veteran New York heavy metal power trio The Rods have re-recorded the song “Crank It Up” which originally appeared on their 1981 self titled album, as part of the album’s upcoming 35th Anniversary celebration. “Crank It Up”, what more is there to say? It’s kind of been our “motto” since day one. Thirty-five years later, we are still slamming our audiences with great powerful music. It’s amazing to see all the different generations singing along to this classic Rods “Anthem”. Call it “Rock n’ Roll”, or call it “Heavy Metal”, it’s meant to be played loud with a passion, and that’t what we have done for thirty-five years. We felt re-recording our very first single, “Crank it Up”, would be a fitting way to commemorate our 35 years together. Originally we’d pressed a few hundred 45’s and sent them off to radio stations and record companies without much hope of getting any response. I’ll never forget how thrilled I was when I contacted the DJ at a Rochester, NY radio station, asking if he’d received our song and what he thought of it. His response was, “Yeah, we received it, and “Crank It Up” sounds great on air!”. I was floored. It was the first time we’d received any recognition for our music. 35 years later I still love playing the song and the fans still seem to love hearing it. Re-recording The Rods‘ most recognized early release seemed like an obvious way to celebrate having survived 35 years, almost a miracle! We wanted to show that we still have the same energy and dedication to our fans we had in the beginning. They deserve it after the faith they have shown in us!